Thirty plus years ago, when I first became interested in cooking more than just the food I had eaten growing up, I would borrow the local library’s limit of three books per week so I could learn about food in the wider world. Australia was a different place then. It was the hippy era. People were dabbling in vegetarianism and macrobiotics and we were only just beginning to embrace our migrant cultures from Italy, Greece and the Balkans. This was fifteen years before I had a chance to travel. I had deliberately passed over the shelf of books about English food, after all, it was a familiar diet, then I discovered the post WW2 English food writers Jane Grigson and Elizabeth David. They both cooked with ingredients I could readily buy, they used methods I was familiar with, but more importantly they both explained the finer details of the roots of the food they cooked. These women were passionate foodies, keen to educate the British about good food, flavoursome preparation and wider choices. It was their effort to shake Britain out of the post war rationing doldrums that they’d endured until mid 1954. Reading “English Bread and Yeast Cookery” by Elizabeth David all those years ago was my first exposure in print to the richly intertwined development of society through food. Her erudite book covers subjects from salt to storage, grain milling to loaf moulding, from the middle ages to the 1970s. The one strong vein that runs throughout this book is her contempt for the poor quality industrial bread to which England had been (and continues to be) subjected. As expected, there are numerous wholewheat bread recipes, but also included are rustic hearth loaves, griddle cakes and obscure regional breads which David flatly states she hasn’t tried. What is surprising is her contempt for sourdough and the inclusion of French and Italian specialties. I’ve lovingly kept my 1977 edition of this book and every now and then I take it from the shelf for a casual read, but the truth is, I’ve only ever made one recipes from it. A friend first prepared this cheese tart for me many years ago. I loved it so much, it became a core menu item on my finger food menu when I was in catering in the 1990s. The pastry is fine crumbed and robust, the filling rich and sharp, and as the tarts bakes the crust and custard meld into a manageable whole. When I was making this tart recipe regularly, I tried many different cheeses in the custard filling. Both sharp cheddar and gruyere work well instead of the blue cheese. I couldn’t resist a remake of Ms David’s Tarte Aveyroinnaise or Roquefort quiche. I followed the ingredients list closely except I used Fermipan instant dried yeast which doesn’t require activation. To comply with my diet, I substituted spelt flour for unbleached bread flour and used lactose free milk and cream. Elizabeth David’s method takes up more than a page of detailed explanation and while it’s interesting to read, it’s pedantic and long winded. My synopsis follows. Nutmeg, pepper and salt to taste. Mix together the flour, salt and dried yeast and make a well in the centre. Lightly whisk together the egg and cream, add it to the flour then mix the ingredients together to a firm sticky batter. Sprinkle flour on the bench, turn out the dough and give it a light knead until it’s smooth. Form into a ball. Clean the bowl then grease it with butter. Return the dough to the bowl, cover it with a plate and leave it in a warm place to rise until it is doubled in bulk, about 2 hours. Grease and flour 1 dozen 1/2 cup muffin tins and place a small square of baking paper into the base of each. Turn the dough out onto a floured bench and lightly knead it again. Divide the dough into 12 large walnut sized pieces and put them into the muffin tins. Cover with a tea towel and allow to rest for 1/2 hour. Using floured fingers, mould the dough up the sides of the tins. Thoroughly mash the cheese with the back of a fork. Lightly whisk together the eggs, cream and milk, then add it to the cheese and gently whisk it together with the fork. Season the custard with black pepper and a little freshly ground nutmeg. Spoon 2 tablespoons of custard into each pastry shell. Bake at 200C for 10 minutes then reduce the heat to 180C and continue baking for a further 7-10 minutes. The tarts will be puffed and just starting to colour. Ms David states the tarts should be served immediately. We liked them at room temperature and I know they reheat well. I would so gobble these up. So many and so fast you wouldn’t believe. Oh I would, they didn’t last long after I put the camera away! Great recipe, although you had me already with blue cheese! Will try this after summer. Thick cream is 35% fat whipping cream? 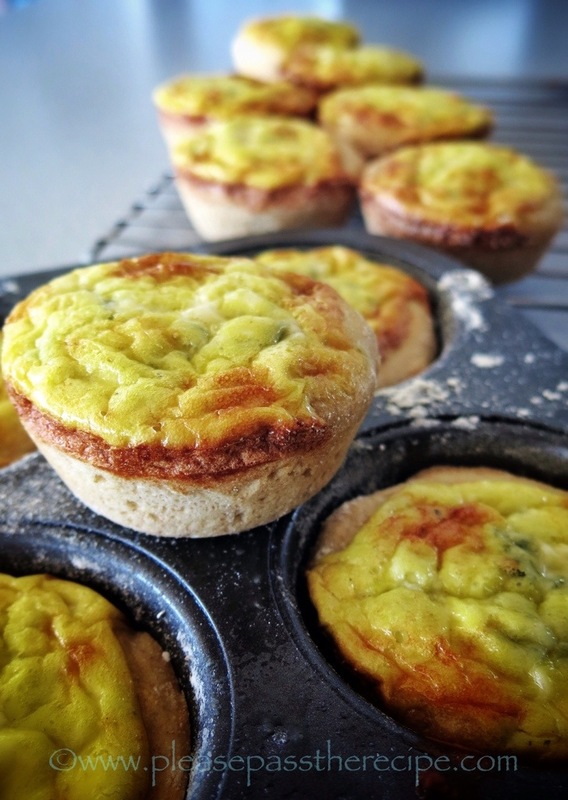 From the sweet we head to the savoury in the form of these delicious blue cheese tarts from Please Pass The Recipe. Versatile and delicious don’t be put off by the blue cheese if you’re not a fan, they’re equally as good with gruyere or sharp cheddar. These look fabulous!!! Great for a picnic! Hi Sandra, they sure sound tasty. I see the base has yeast in it. Does it taste like bread or more like pastry? Definitely bread, you don’t get a crunch like you’d expect with pastry, but the texture and flavour are great! It is fabulous to be able to leaf through an old book such as the one you describe – though I appreciate your abridged recipe. Looks divine! You are absolutely right Sue, I rate ED’s and Jane Grigson’s books among my best loved and most reliable. I am a great fan of the late ED, and as someone else has pointed out, whist she was a person of strong opinions and considerable verbosity she could cook! She was a true foodie, and as such her recipes rarely disappoint. I have owned a copy of French Provincial Cooking practically all my cooking life, and have several others too. The great thing about her books is that they make enjoyable, informative reading as well as providing recipes. With the yeasty bread style crust, you have to reset your expectations a little but it’s a great recipe! David is certainly a woman of strong opinions, but getting to the point is not her strength. All that said, she was a damn fine cook! Blue chess is something I cannot resist, the “bite size” of your tartlets is perfect, give me on glass of cold white wine and you’ll make very very happy! Love the us of spelt flour! Beat me to it! It was on the list, but have others to take its place. They look delicious, though. Bread and cheese – such a natural pairing. I like how you’ve managed to use spelt and lactose free dairy products. Lovely story about your introduction to the book. Do still try the tarts Deb. I try avoid pastry because of the fat content, especially when cheese is involved too, but David’s yeasty, sort of low fat, tart case is quite delicious, as you say bread and cheese are natural together. Add a glass of red wine, and the combo is complete. The pastry was still light, despite the spelt and the lactose free dairy made not one iota of difference. It’s funny how I can trot out little aspects of my history and tie it to food. Says it all really!! I adore Elizabeth David. Her ‘Book of Mediterranean Food’ is one of my favourites (especially the chapter prefaces – she does go on doesn’t she!) Her French Provincial Cooking is a masterpiece too. English Bread and Yeast Cookery is one I don’t own. I think I may need it!! These little tarts are my kind of food – I think I’d go for your Gruyere suggestion though. Yum. I’m reading this close to dinner time and am suddenly starving. 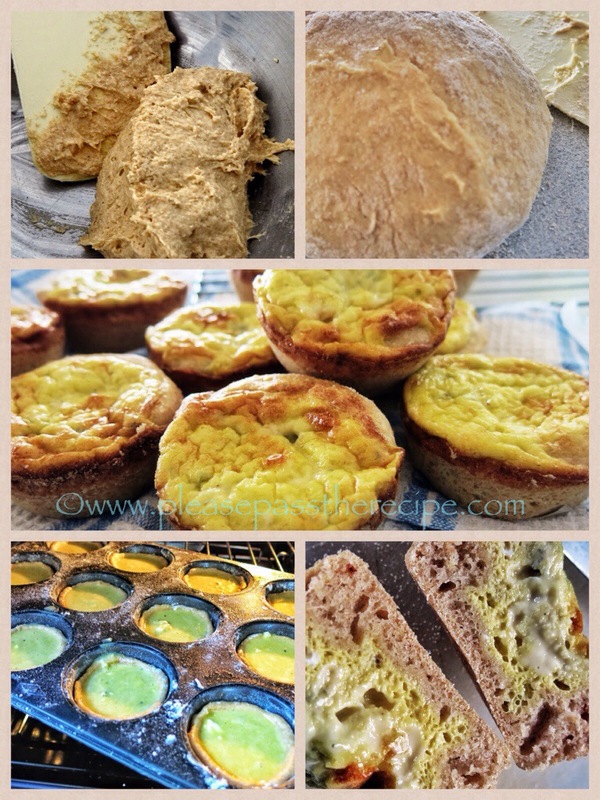 This entry was posted on June 10, 2014 by ladyredspecs in Baking, Breakfast and Brunch, FODMAP diet, Food, Light Savoury Dishes, Savoury Baking, The Cookbook Guru and tagged blue cheese, quiche, savoury, tart, yeast.